My daughter has been collecting these bows for some time now. 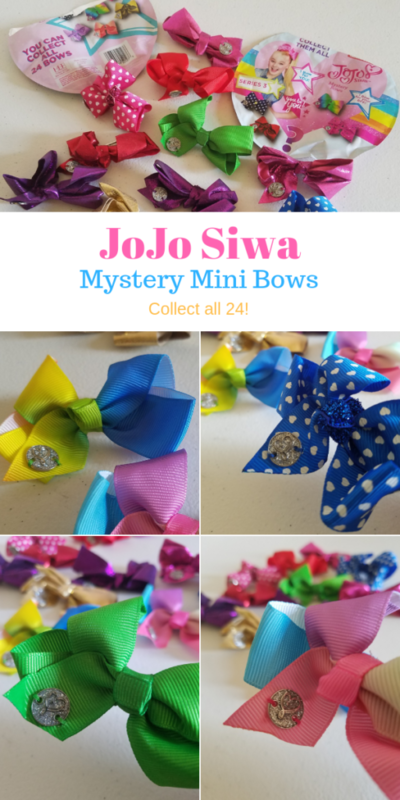 The JoJo Siwa Mystery Mini Bows have now launched their series 3 bows! These bows are from Bulls i Toy. There are two in a package and you never know which ones you are going to get. It’s a mystery! 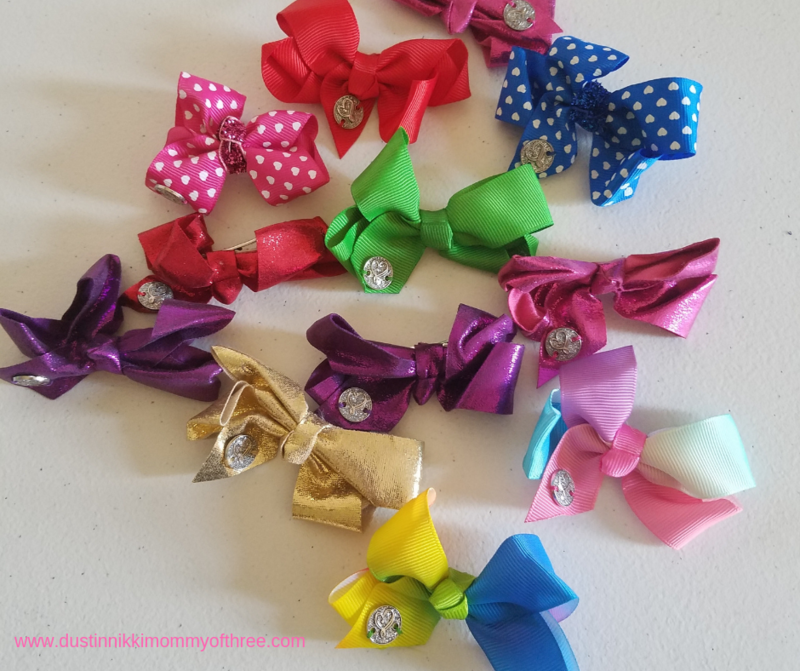 I love the packaging of these bows because they are designed to have the same idea of Best Friends jewelry. You know, where one friend keeps one half of the charm while the other friend gets the second half? They are kind of like that. The packaging has perforation down the middle so it’s easy to break into halves. Each half stays sealed so you can give your friend one of them and remain a surprise because they can open it themselves. This is what I think is really cute about these bows. The two bows in each package are kind of similar. They aren’t the same but they look alike. It goes back to the BFF idea. For example, in one package we found a pretty blue bow (with a sparkly center) with little hearts all over it. The other bow in the package was exactly the same except that it was a pretty pink. 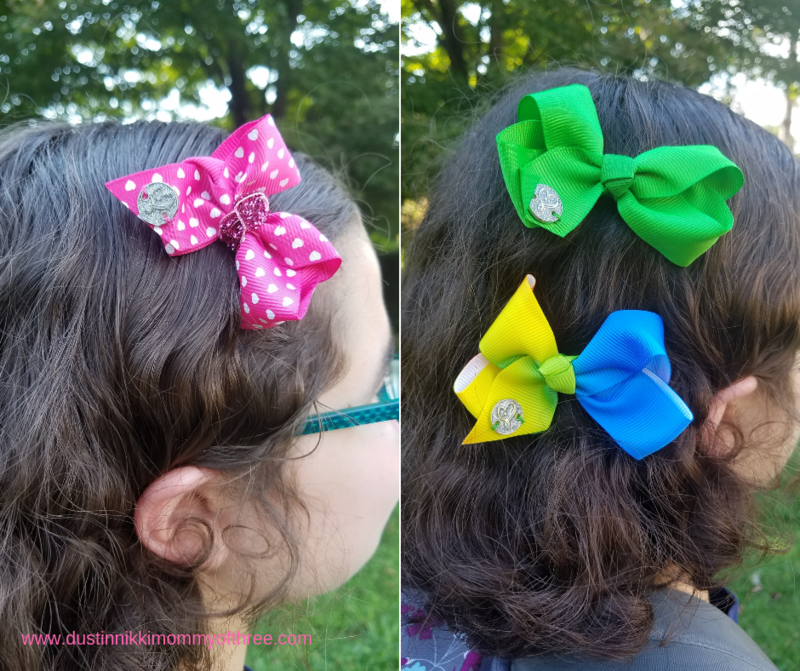 Now your best friend can have a matching bow of a different color! Another set was a multicolored set. Another was a shiny metallic set but two different colors. Others were solid colors too. The ribbon the bows are made from are cloth-like. Some of them I did have to shape a little. I mean, it’s pretty understandable considering they are packaged in foil “blind bags”. I think they are pretty good quality. 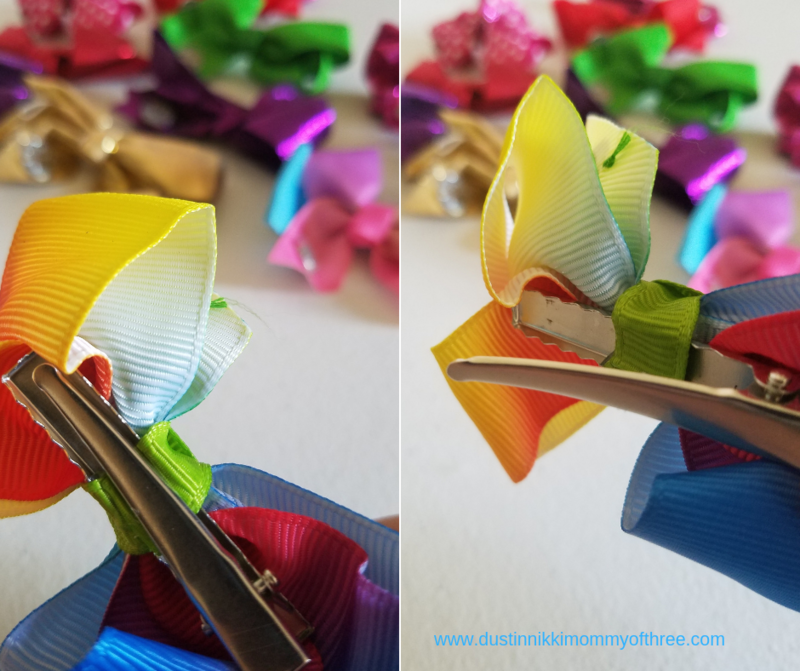 These bows have a hair clip on them. They are metal hair clips that open up at one end like scissors. They are pretty durable and they stay put in the hair really well. At least I know they do in curly hair for sure. They don’t slide or move really. 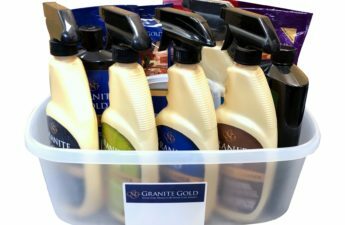 If my daughter uses them in her hair, she says she doesn’t have to adjust them that often at all. She has short hair. She’s always liked to keep it that way. Of course with short hair, she sometimes has the issue of her hair in the front getting in her way. So she uses them to clip her hair away from her face mostly. Other times she just places one randomly on the side of her hair. She doesn’t always use them in her hair though. I have seen her clip one on her shoes. She also usually keeps one or two clipped on her backpack. 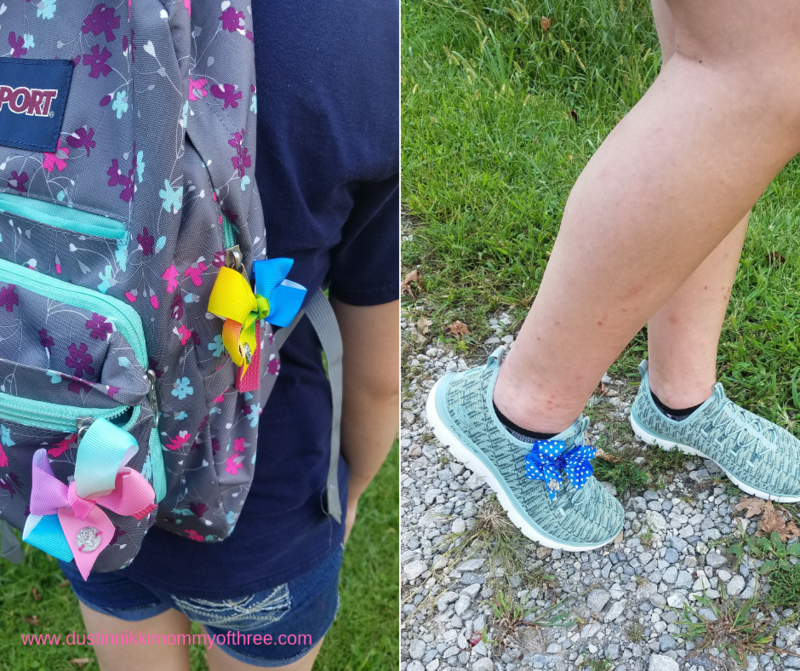 She says if she ever need to clip back her hair she always has something available while decorating her back pack at the same time. Which is okay with me. A lot of the time I hear her coming from a mile away with all the other clinky things she puts on her zipper pulls. I happen to think they are super cute. All of them even have a shiny, silver metal tag on them that look like a decorative heart. An extra cute touch I think. They are good quality. My daughter likes how well they stay in her hair. She and a couple of her friends trade bows since some of them collect them too. 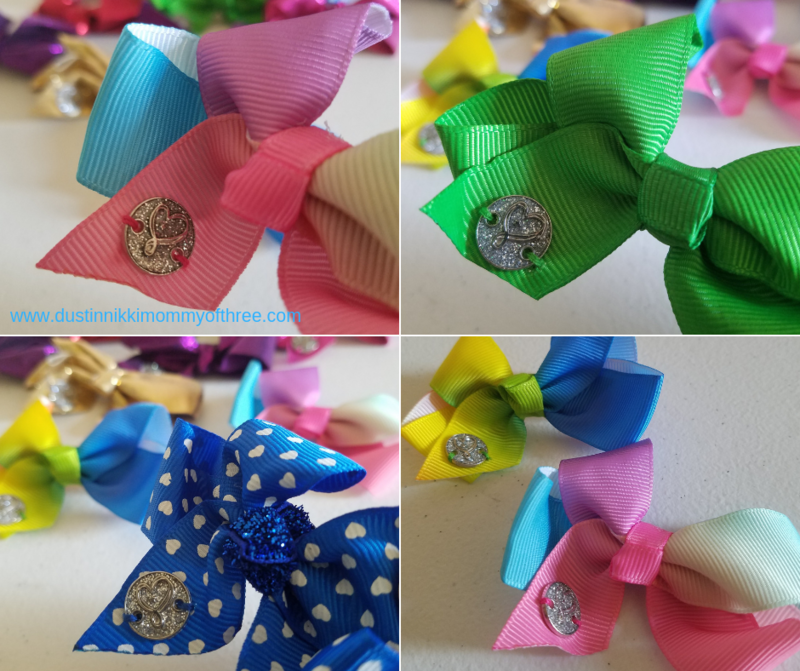 There are 24 total bows in the series and there are so many colors and designs. One of her friends has a couple with polka dot rhinestones. I have seen bows with little ice cream cones too. She would really like to get her hands on one of those to add to her collection. 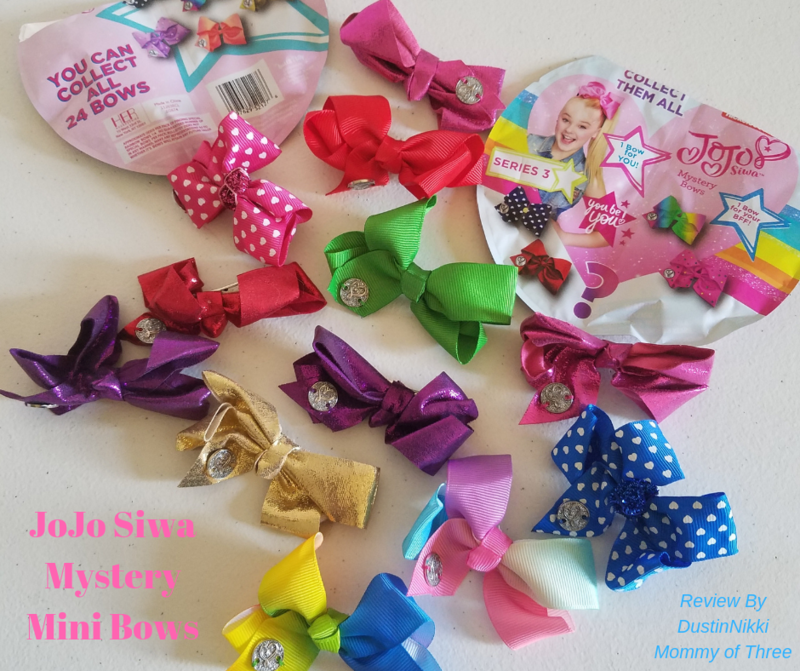 Since they are mystery bows and you never know what you are going to get, it makes it all the more fun! 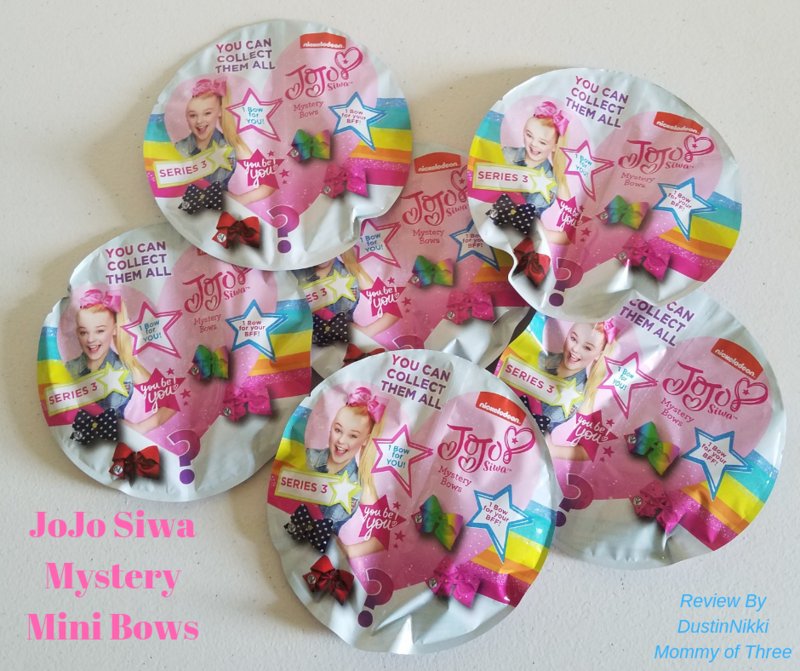 Buy It: You can buy JoJo Siwa Mystery Mini Bows at Target stores. 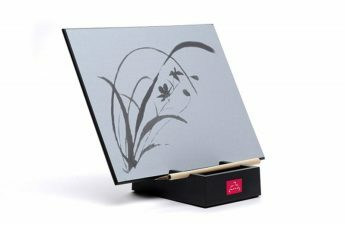 Series 3 just launched! 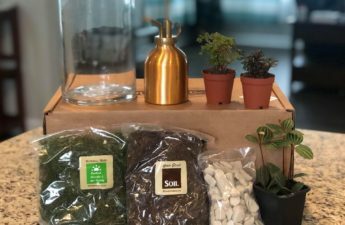 The suggested retail price is $4.99 per package. Two bows in each package for that price isn’t bad in my opinion. I have bought my daughter other hair clips for about the same price. 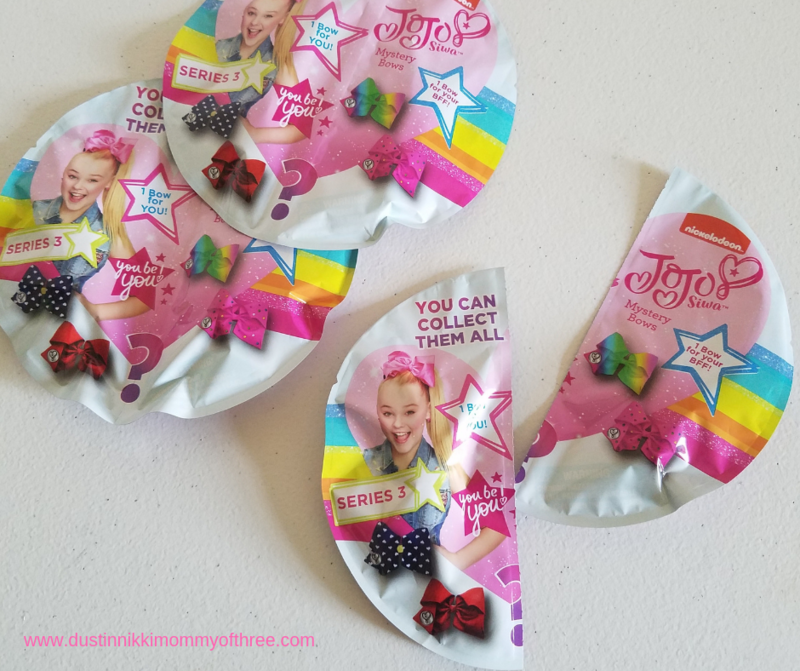 Be sure to check out my previous post about their new toys – Back to School Roundup from Bulls i Toy – Fun and Collectible Toys!